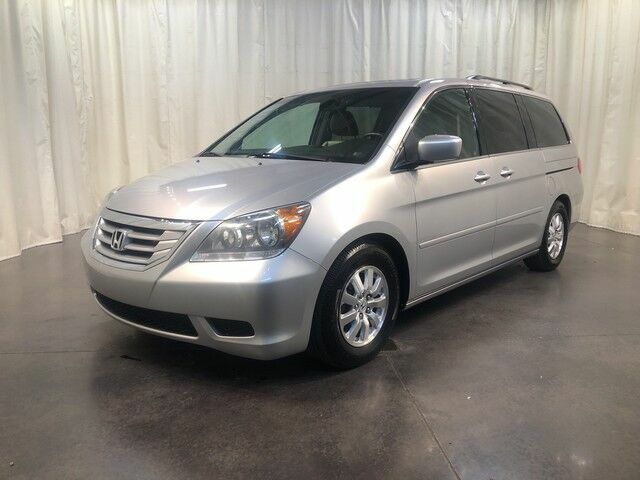 Jenkins & Wynne is honored to present a wonderful example of pure vehicle design... this 2010 Honda Odyssey EX-L only has 137,837mi on it and could potentially be the vehicle of your dreams! This is about the time when you're saying it is too good to be true, and let us be the one's to tell you, it is absolutely true. There are many vehicles on the market but if you are looking for a vehicle that will perform as good as it looks then this Honda Odyssey EX-L is the one! This is the one. Just what you've been looking for. More information about the 2010 Honda Odyssey: The 2010 Honda Odyssey is still one of the top-rated minivans in the U.S., often compared to the top-rated Toyota Sienna. With ample passenger capacity, a folding third-row seat and several beverage holders, the 2010 Odyssey's design emphasizes cutting edge style, safety and clever innovation. Safety is important to minivan buyers, so the Odyssey employs standard multiple airbags, electronic stability control, anti-lock brakes, active head restraints and many other technologies intended to keep passengers safe. The Honda Odyssey won a 2010 Top Safety Pick from the Insurance Institute for Highway Safety, and it has earned five stars from the National Highway Traffic Safety Administration for both frontal and side impact crashes. Interesting features of this model are strong acceleration and handling, A practical and popular minivan, powerful V6 engine, and interior comfort and versatility TEXT: 214.914.1866 CALL: 931.538.7505 EMAIL: Sales@JenkinsAndWynne.com. Our pre-owned come w/ an oil change, windshield wiper fluid check, 50k mile compression check, atleast a 32pt inspection sheet, the AutoCheck vehicle report, and a 12month/12k mile power train warranty (on a vehicle w/ 80k miles or less/10 years or less/ excludes Diesels, also excludes Bargain Corral Vehicles). This is already over a $200 savings to you! Jenkins & Wynne has been proudly serving the Clarksville area since 1953! This 2010 Honda Odyssey EX-L is a 3.5L V6 front wheel drive minivan! This beauty has gray leather interior with heated front seats, CD player, rear DVD player, moon roof, power sliding doors, power locks and windows and MORE!